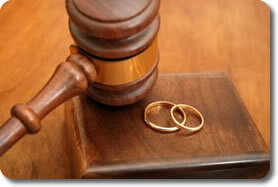 Family Law Overview - Thomas & Henderson, P.C. From our offices in Grapevine, Texas, Thomas & Henderson, P.C., represents clients throughout the Mid-Cities, HEB, DFW, and Grapevine areas in a variety of family law issues. We are a full-service family law firm that not only provides representation for family law matters, but is also able to assist with estate planning when your family dynamics change. For a complimentary confidential consultation with an experienced Texas family law attorney or divorce lawyer Call (817) 358-8900. With more than 40 years of combined experience, an excellent network of experts and professionals, and personal service and attention by an attorney on every matter, we tailor our legal services to meet your needs. Divorce – Annulment: Our Texas divorce attorneys represent men and women (mothers and fathers) who are contemplating divorce or who have been served with divorce papers. AdoptionandAdult Name Changes: Our family law lawyers handle domestic and stepparent adoptions. Child Support (Increase and Modifications): Our family law attorneys represent mothers and fathers in child support proceedings as well as requests for a post-divorce modification to modify a child support order. We also represent parties in child support enforcement proceedings. Child Custody and Visitation: We represent parents, stepparents and grandparents in child custody and visitation disputes, as well as requests for a post-divorce modification of a child custody or visitation order. Spousal Support/Alimony: We can help you determine if spousal support will be a factor in your divorce, and protect your financial interests throughout the process. Division of Property/Debt/QDROs: We represent clients in complex distribution of assets and debt issues, including properly classifying property and valuation issues, as well as locating hidden assets. Prenuptial and Postnuptial Agreements: Our family law lawyers assist clients with drafting nuptials (prenuptial and postnuptial) agreements, as well as represent clients in divorces involving prenuptial agreements or postnuptial agreements. Paternity Suits: We represent men and women in paternity actions, including for purposes of establishing child support obligations or gaining custody and visitation rights. Termination of Parental Rights: We represent parties in termination of parental right actions, including for purposes of adoption. Protective Orders (Orders of Protection) and Domestic Violence: We represent men and women in family law court for domestic violence, as well as assist victims in obtaining protective orders. Alternative Dispute Resolution — Our family law attorneys represent men and women in collaborative divorces and in mediation. We also represent clients in dispute divorces that go through an adversarial process. In addition to the family law services mentioned above, we also represent clients who have a change in their family dynamics with revising their wills, trusts and other estate planning instruments. To schedule a confidential consultation with one of our family law attorneys to discuss your family law matter or Texas laws and procedures on family law issues, please call us at (817) 358-8900 or fill out our intake form.